Although there are many different approaches to psychology, there are only a few main ‘schools’ of psychology that are defined as fundamentally influencing the subject. As with any form of art or science, psychological theories or schools go in and out of fashion, but these four examples of well-known, highly respected or now-disregarded schools of psychology illustrate how a particular approach influences others at different times. 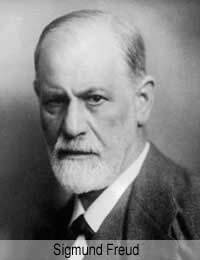 It is impossible to write about important schools of psychology without mentioning Sigmund Freud, not least because he is perhaps the most famous psychologist. His theories are also among the most repeated and the most studied. Well known for his psychoanalytic approach, Freud developed theories on the unconscious mind, the defence mechanism and repression, which are quite the opposite of the behaviourist’s views as he believed the self to be a many-layered, highly complex issue. This is reflected in the famous Freudian beliefs of sexual desire and transference and is evident in his dream analysis. Initially defined early in the 19th Century, the psychological school of behaviourism is often called the ‘learning perspective’. With the core principle that all and any physical action is also a behaviour, the psychology connected to behaviourism believes that any action, thought or feeling of the individual is also a chosen behaviour. This means that behaviourist psychologists believe that no action, thought or feeling is hypothetical and/or of the mind, but rather is a scientifically definable action that can be empirically analysed. Behaviourists think that there is no difference between an individual's public actions and their private actions, such as thoughts and feelings, as they are all the same. It will probably come as no surprise to know that this approach went out of fashion in the second half of the 20th Century, although elements of the school can be found in the more recent appreciation of Cognitive Behavioural Therapy. Although criticised for being too simple, the psychological school of Cognitivism has remained popular since it overtook behaviourism as the school of choice. The underlying approach of cognitivism relies heavily on the understanding that mental function can be rationalised as a form of information processing. Through Cognitive Behaviour Therapy, or CBT, the term cognitive has become more commonly known and used. Its methodological and theoretical elements combine to create a scientific, measured approach to understanding psychological issues. An ancient and now widely disregarded school of psychology is that of Phrenology. Popular in the 19th Century, Phrenology was a term coined by German physician Franz Gall to define his belief that the scull was the key to our personality traits. Phrenology is an old Greek hypothesis that believes that the bumps and undulations of an individual’s scull defines and explains our character, with each area of the scull corresponding with a different trait. Under the belief that the brain is the ‘organ of the mind’, this was a popular theory until more recent scientific research disproved it, relegating its status to that of a pseudoscience.